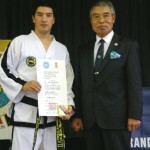 Born in the United Kingdom in January 1970, Senior Master Andrew Kang-Hae Rhee is the eldest son of First Grand Master Rhee Ki Ha (FGMR). 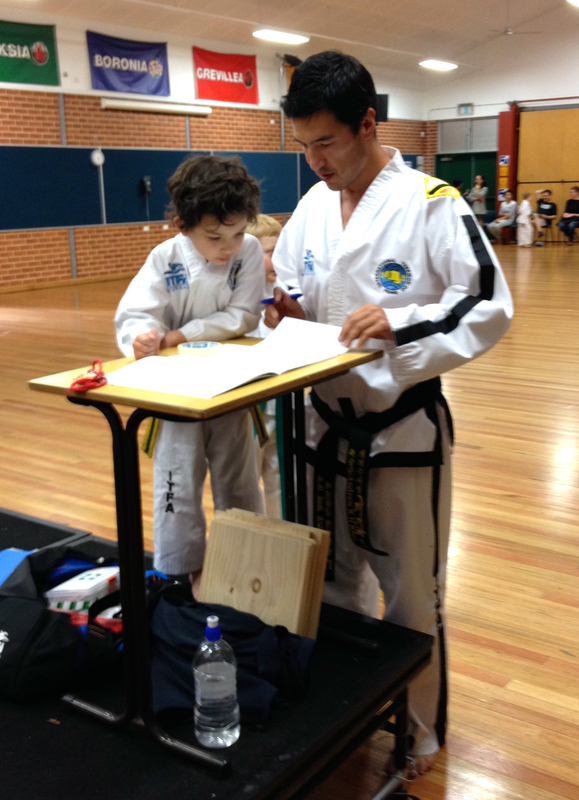 He began his Taekwon-Do journey at the tender age of 6. 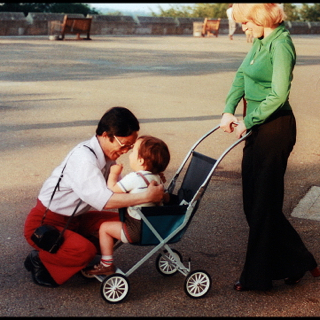 When his father wasn’t away from home and pioneering Taekwon-Do around the world he would be teaching his son to punch, block, kick and count in Korean. 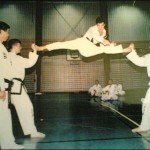 This provided our Senior Master with a good solid foundation on which to build his Taekwon-Do knowledge and technique. 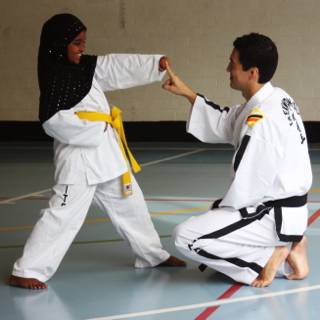 He eventually entered his first structured class at the age of 7 under the guidance of UKTA Instructor Mr Paul Kelly, 2nd (II) Dan. 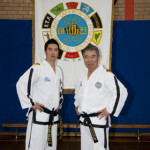 Mr Kelly’s ‘Atherstone’ Dojang is still in existence today to this day and is possibly one of the longest running Taekwon-Do schools in the UK. Senior Master Rhee and General Choi. 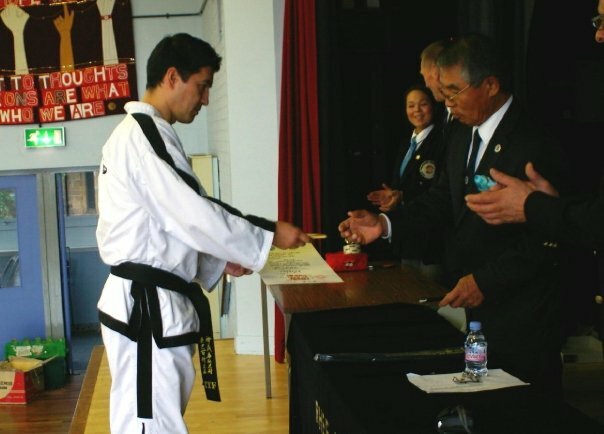 Senior Master Andrew Rhee promoted to 1st (I) Dan Black Belt in March of 1988 and soon after that began assisting FGMR in the teaching of his Academy classes. 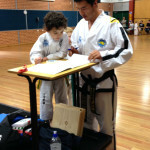 This allowed his father to groom him in an Assistant Instructor role, with a view to eventually opening his own schools. 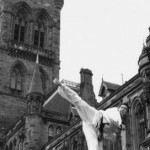 By August 1990, Senior Master Andrew Rhee had opened 5 schools in and around the Glasgow area. 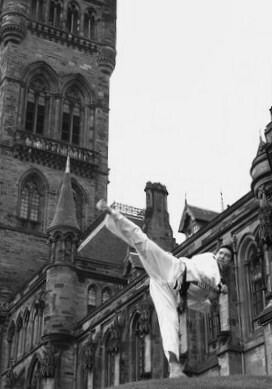 Several of those schools are still in operation today under the tutelage of his long serving students, Mr John McMillan, 6th (VI) Dan & Mr Ronnie Carruthers, 3rd (III) Dan. 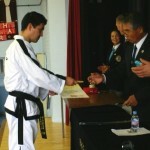 Throughout his time in the UK, Senior Master Rhee hosted many Taekwon-Do events at both national and international level. He hosted the Scottish Open National Championships in 1992, 1993 and 1995 as well as the UK Open & 4-Nations Championships (England, Scotland, Wales & Ireland) in 1997. 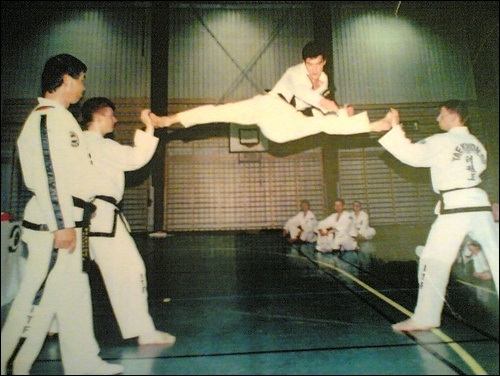 In 1994, aged 24, he promoted to 4th (IV) Dan International Instructor, thus achieving the first goal he set himself when he was a young boy. It was after this conversation, that Senior Master Rhee retired from competing to follow the Founder and his father advice and focus on teaching the Art. In April 2000, and then 5th (V) Dan, Senior Master Rhee organised, co-ordinated and hosted the ITF Millennium Seminars in Leicester, England. 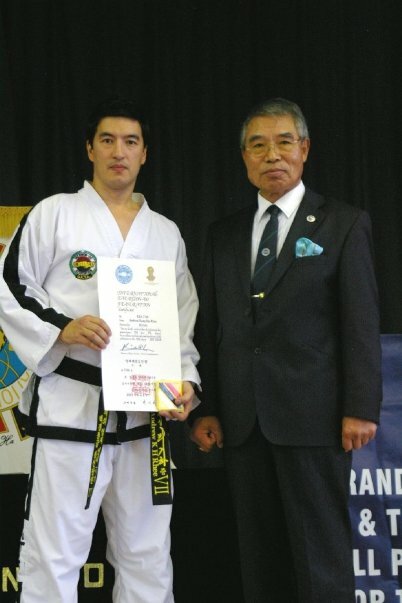 The event was conducted by FGMR and Grand Master Choi Jung Hwa, then 7th (VII) Dan Master, the son of the the Founder of Taekwon-Do, General Choi Hong Hi. The enormity of the event was incredible with over 400 participants attending and 12 countries represented. It was little surprise that Senior Master Rhee proclaimed the ‘Millennium Seminars’ as “The greatest event I have ever had the privilege to be involved in organising”. Little did he know that he was soon to eclipse this major event. He landed in Sydney on July 9th 2010 and following some lengthy dialogue with the Australian NGB, was refused membership due to, ‘not being Australian’. Our Senior Master wasn’t going to be stopped by politics though and quickly formed his own Organisation, the ITFA. 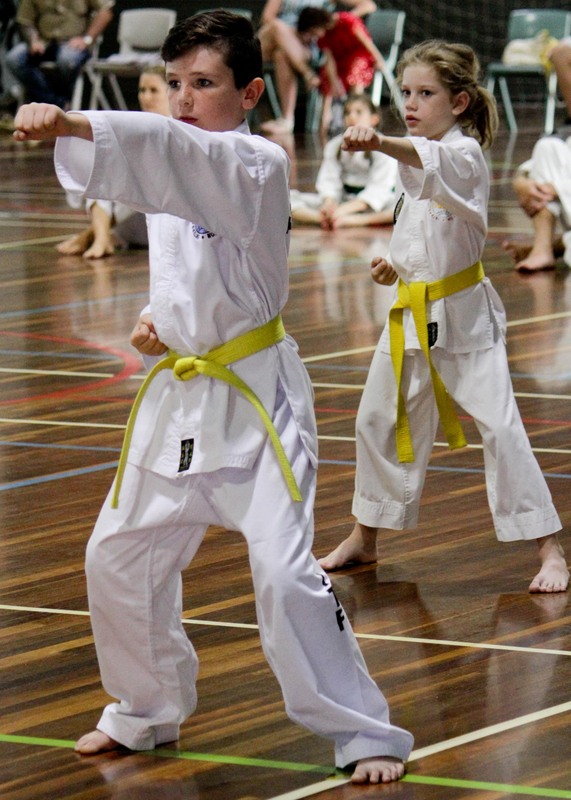 Within its first year the ITFA established schools throughout Eastern Suburbs of Sydney and even had an instructor in Melbourne. 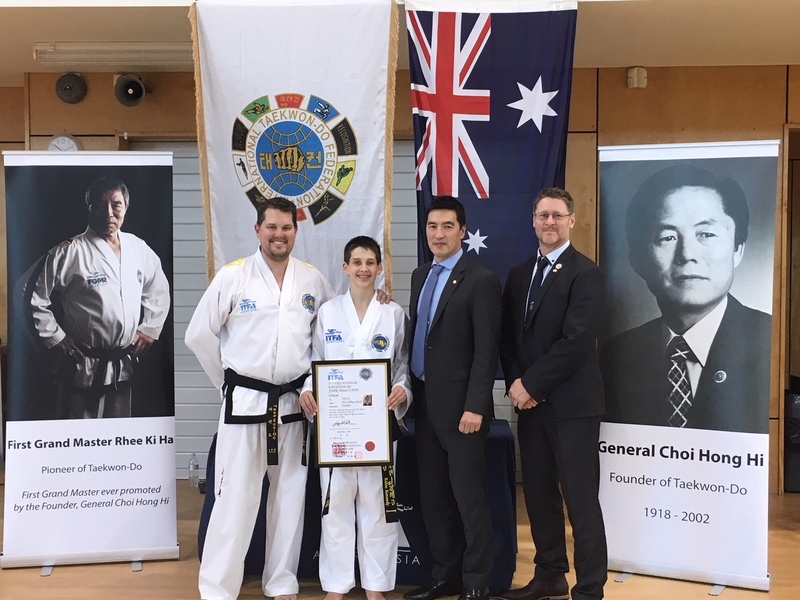 By the end of year 3, the ITFA was represented in Sydney, Melbourne, Canberra, Brisbane, Gippsland, New Zealand and even Buenos Aries, Argentina, making the ITFA one of the most exciting global Taekwon-Do organisations for the future of the Art. On 10th April 2016, the Golden Jubilee year for the formation of the International Taekwon-Do Family (ITF), in recognition for his work promoting and teaching the Art internationally; establishing the ITFA with its own Headquarters in Alexandria, Sydney; for developing an online real-time teaching tool ViRTUAL Taekwon-Do, FGMR promoted the ITFA Founder to Senior Master VIII Dan at the ITFA Dojang in front of his own students and other Senior Grades who attended the ITFA International Instructor Course taught by FGMR. But the work doesn’t stop there. As FGMR states: “A Master’s work is never done” and Senior Master Rhee strives to continue to promote the Art as the Founder intended. Senior Master Andrew K H Rhee, VIII Dan. BAPT. 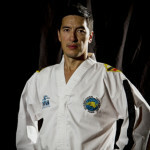 Founder, Chief Instructor & Examiner ITFA. Eldest son of FGMR. 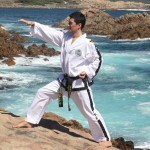 Pioneer of Taekwon-Do. Personal Assistant General Choi Hong Hi, 2000-2001.